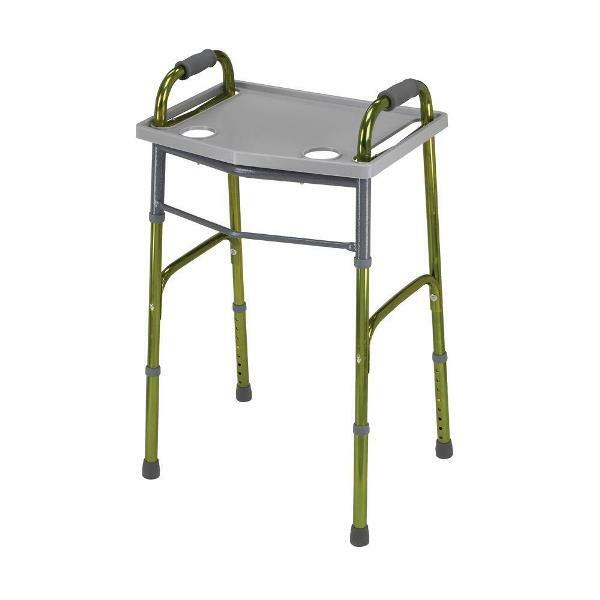 The Universal Walker Tray with Cup Holders is designed to fit most standard walkers. 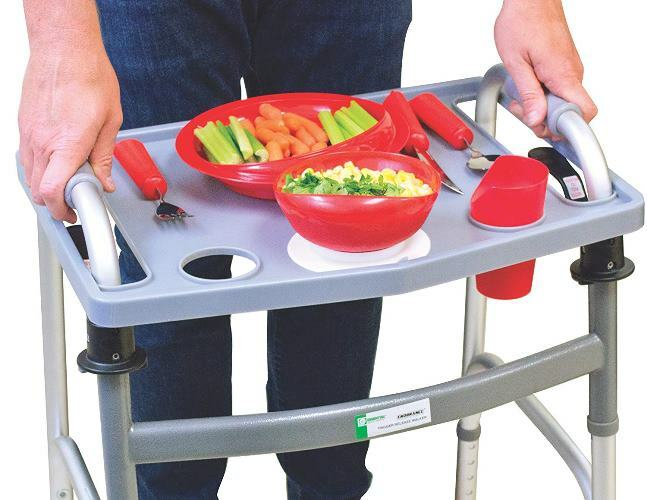 People using a walker for mobility will find this convenient carrying tray allows them to easily carry food and drinks. 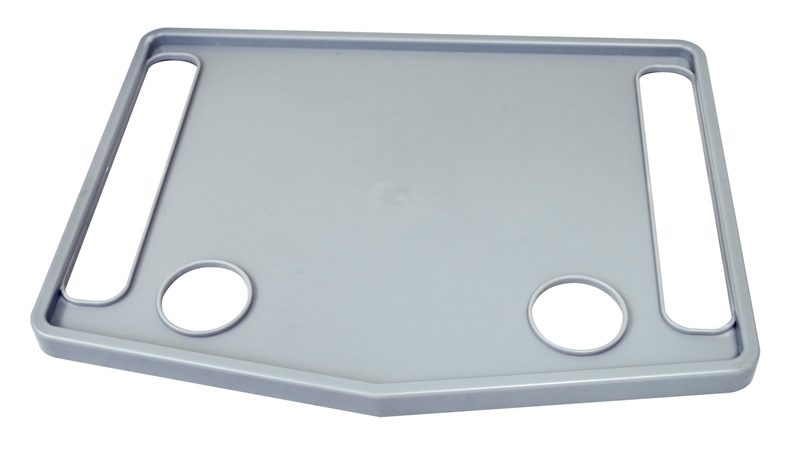 The Universal Walker Tray with Cup Holders has raised edges to help prevent spills. 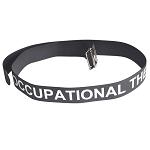 This durable tray is made of plastic can be easily wiped down with damp cloth. The attractive gray color is designed to hide stains. 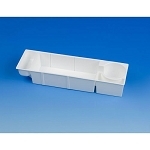 The tray features two cup holders cut-outs that are 2-3/4 inches in diameter, and are 8 inches apart from each other. 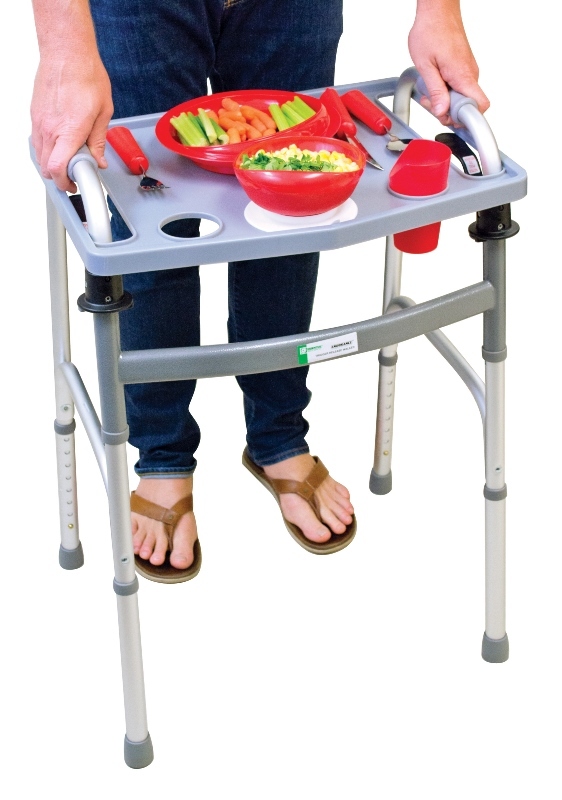 The Universal Walker Tray with Cup Holders is easy to attach, simply place over the top handles of the walker. 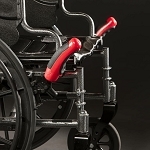 To make sure it will fit, measure the distance between the inside of the walker hand grips. 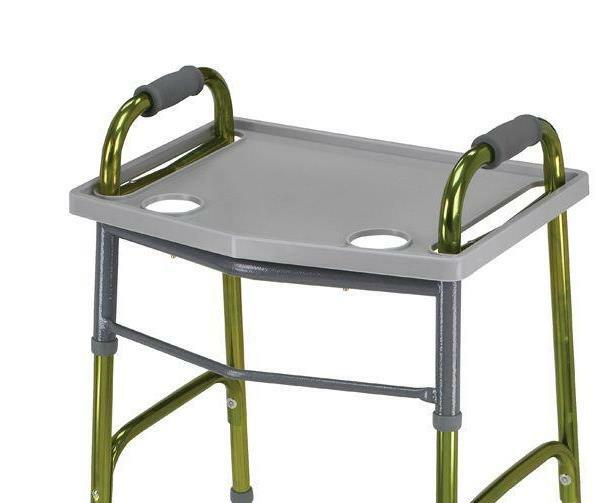 If this measurement is between 15.75 to 19.75 inches, then this walker tray will work with your walker. 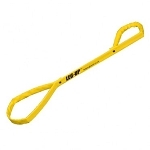 The hand grip openings measure 11.62 inches long, 1.875 inches wide. The distance between these holes is 15.75 inches. 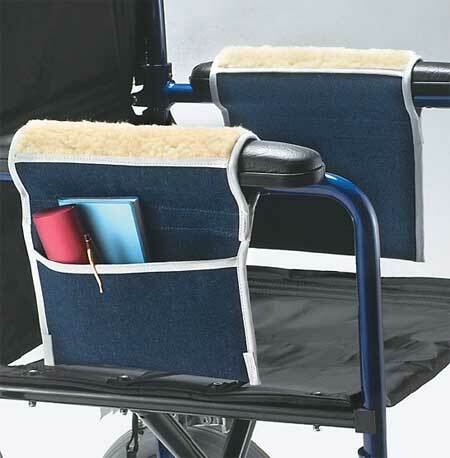 The Universal Walker Tray with Cup Holders allows walker users to easily carry personal items.